Place a sheet of aluminum foil under the cover of your ironing board. The foil reflects heat, smoothening out the underside of your clothes as you run the iron press on the top side. Always iron black and dark-coloured clothes inside-out. Use a well-padded iron board, especially for wool. Speaking of which, you must use a pressing cloth, when ironing woolen fabrics. A pressing cloth is simply any piece of fabric used between the flat iron surface and the item you are ironing as a protective shield. Use low heat and light pressure to avoid iron marks. Irons come with various coatings on the soleplate – from Teflon to Ceramic. Though they are dirt resistant, it's still a great idea to keep the soleplate clean. 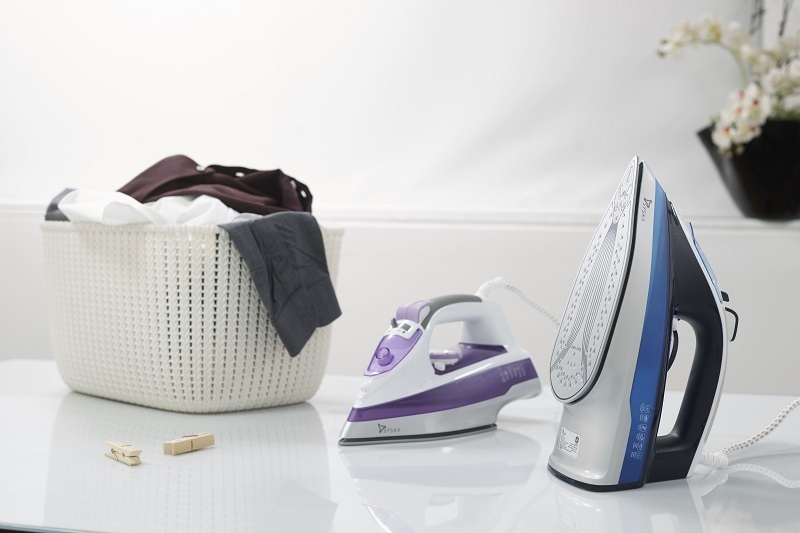 From dry irons to steam irons, a wipe down is necessary from time to time. Dilute a mild dish-wash liquid soap in warm water and a clean cloth. Q-tips help loosen grime that has settled in the grooves and holes. Make sure the iron is cool before you touch it. Make sure you hang your ironed clothes to cool down. Try not to wear them immediately after ironing or they'll just wrinkle up again. A garment steamer is great – light-weight and easy to use. However, since it can only steam clothes that are hanging it naturally can't press creases into place. A regular iron, on the other hand, can handle all types of fabric with the right heat-setting and pressure. Similarly, no one has time to send clothes to the laundry for a steam press when you can do it at home. Electric irons these days are adept at handling heavy, thick materials and the most stubborn creases. If you're using starch to stiffen your clothes, iron the starched items quickly. Make sure the iron isn't too hot, or the starch will burn onto the bottom of the iron. The difficulty in straightening out wrinkles while ironing stems from the way your wash your clothes. If you're washing garments in a machine, use smaller loads. The clothes come out less crinkled. If they're hand-washed, don't wring them too hard. This way, they come out less crumpled, hence, easier to iron. Are you a denim person and love your jeans? Make them last longer by ironing when damp! While we're on the subject of thick fabrics, remember to steam your corduroy pants thoroughly and then straighten the ribs with your palms for a smooth look. Not everyone has (or needs) a sleeve board. Just insert a small rolled-up towel in the sleeve so they can be pressed without leaving creases. Avoid the hassles of dealing with crumpled clothes, by investing in a good quality iron with advanced technology. For instance, steam irons these days come with features like ‘steam-burst’, wherein the iron releases added bursts of moisture to help you deal with the toughest wrinkles. The same iron can also see you through problems like not having an ironing board at hand. The latest vertical steam function works well on the light creases of hanging garments, drapes and curtains. So, in case you don’t have access to a board, don’t fret – your iron will get rid of those wrinkles. One iron, many solutions! Ironing is easy, why complicate it? Now that you're privy to these convenient ironing tips and tricks, go ahead and try them. Don't forget, the key is using the right iron. 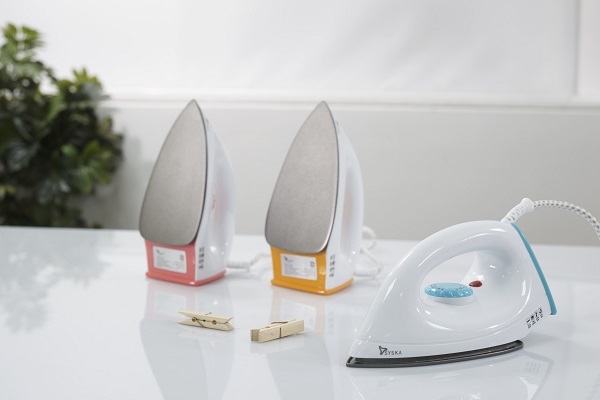 We've got your back there with a range of dry, steam and cordless irons at Syska.